The visit also highlighted the flourishing Turkish-Saudi bilateral relationship. The Turkish president said that he felt at home on his the trip, calling Turkey and Saudi Arabia sister states and sister nations. Gul recalled that King Abdullah had gone to Turkey in 2006 and 2007 and that these two visits in such a short time had shown Riyadh's "extraordinary attention and concern for Turkey." Gul added that he had wanted to return the gesture by paying a visit without any delay to show the high esteem that Turkey attached to relations with Saudi Arabia (www.ntvmsnbc.com.tr, February 4). Diplomatic observers believe that Riyadh might be seeking to develop a strategic partnership with Turkey to counter the growing Iranian influence in the region (www.cnnturk.com, February 3). Bilateral economic cooperation was a major theme on Gul's agenda. He emphasized that the two countries had already signed agreements covering tax exemption, investment protection, and transportation (ANKA, February 4) and expressed the hope that the two sides could extend this cooperation further. Turkish ministers and the businessmen accompanying Gul signed new agreements with their counterparts in such areas as educational exchange programs, cooperation in youth and sports, and maritime transportation (Hurriyet Daily News, February 4). Gul also spoke at a meeting of the Turkish-Saudi Business Council. Noting that structural reforms in Turkey had helped the country withstand the global crisis and created favorable conditions for foreign investors, Gul highlighted the strengths of the Turkish banking system. He invited Saudi businessmen to invest in Turkey. Given Saudi Arabia's projected investments in infrastructure, Turkish businesses, especially contractors, view Saudi Arabia as a lucrative foreign market (Cihan Haber Ajansi, February 4). Despite the positive outlook for the economy and financial sector that Gul presented, Turkey urgently needs an injection of foreign capital to cushion the effects of the crisis. The government has been reluctant to sign a credit agreement with the IMF, because it would impose stringent conditions on government spending (EDM, January 29). There has been constant talk in Turkey about attracting petrodollars, or "Gulf capital" as the Turks like to call it, as a way to finance Turkey's economic development. Turkish businessmen have hoped that Turkey might be able to attract Gulf capital leaving the Western banking system, especially after September 11. Lately, it has often been said that Gulf capital might make Istanbul a worldwide financial center, and end Turkey's dependence on the IMF (Zaman, January 28, 2008). 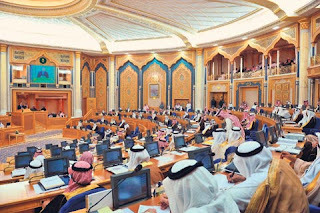 As a matter of fact, although the AKP government has been successful in boosting the volume of Arab investments in Turkey, it could not raise it to a level that would reduce Turkey's dependence on money borrowed from Western financial institutions. For full analysis, click here. For coverage from TDZ, click here. In other news, President Abbas visited Ankara over the weekend, and while gracious toward Turkey for engaging Hamas and, according to TDZ, "pushing it toward the center," the Fatah leader was less optimistic of Turkis diplomacy than most Turks would have liked. State Minister Mehmet Aydın says a precedent has not been set with the launch of TRT 6 and broadcasting in other languages is not about to commence. He says individual assessments need to be made on the need for TV channels in other languages before making decisions. Turkish state television’s new Kurdish channel will not be followed by similar channels in Laz, Georgian or other languages spoken in Turkey, or by a channel broadcasting in Zazaki, a Kurdish dialect, said the state minister responsible for Turkish Radio and Television Corporation, or TRT, Mehmet Aydın yesterday. "It is too early to make a comment," Aydın told reporters at Parliament, avoiding any comment that could be perceived as a green light to other state TV channels in non-Turkish languages. "We must weigh the necessities carefully. Why was TRT-6 born? Is there need for television in other languages or dialects? 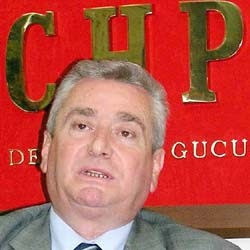 These must be carefully thought out," Aydın said. 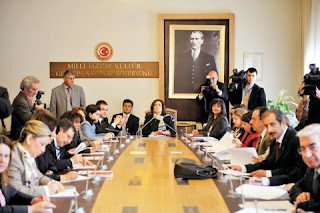 Turkish citizens speaking Laz, Zaza, and Georgian requested Parliament’s human rights committees to launch channels in their languages after TRT-6, the first Kurdish state channel, was launched at the start of the year. "TRT-6 airs a dozen types of programs 24 hours a day. We need to consider how suitable the content and quality of these programs are in meeting the demands of other languages and dialects," Aydın said. 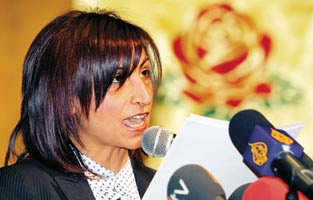 The minister said the Laz, Georgian, and Zazaki people would not insist on state channels in their own languages. "Why should they ask for this? There are people in Southeast and East Turkey who cannot speak Turkish. Kurdish is used in all corners of the country. Are these languages used as much?" the state minister asked. Aydın said the request submitted to Parliament’s human rights committee was the exercise of a democratic right by these groups. Similarly, Circassian groups requested broadcast time earlier last month, the heads of the Caucasian Associations Federation (an umbrella organization for 56 Circassian groups) sitting down with President Gül at Çankaya to discuss broadcast time on TRT-6 or another channel. 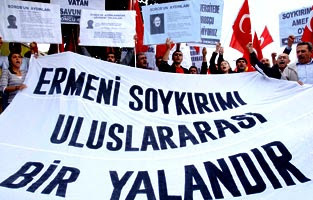 The demands for Zazacı to be included are also important in that the Zaza are a minority Kurdish group; at the moment, TRT-6 is broadcasting primarily in Kurmancı, the dialect of and group to which the majority of Turkey's Kurds belong. For more on Zaza, see Wladimir van Wilgenburg's analysis of rising Zaza nationalism in the EDM. Learning Turkish, speaking Turkish and being educated in Turkish is a citizen’s responsibility. With the Kurdish broadcast channel, the TRT will play into the hands of those domestic and international powers who want to divide and ruin our country. 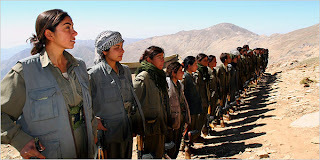 We invite our people and administrators to see that Kurdish broadcasting, Kurdish language and literature departments, the Kurdish Institute, an autonomous region, a federation and an independent Kurdish state are all phases of a game. We strongly decry attempts by the [Higher Education Board] YÖK to establish Kurdish language and literature departments even as there are serious higher education problems in our country. The ADD will forever remain bound to the secular, democratic, social republic that the great leader Atatürk established, the unitary structure of the state and its indivisible entirety, and we will continue the ideological battle for this purpose. How happy is he who calls himself a Turk. The ADD and the Turkey Public Employers’ Trade Unions Confederation (KAMU-SEN) have both filed lawsuits to fight TRT-6 in the Turkish courts, though victory is unlikely and the prevailing political sentiment against them (see Jan. 7 post). The European Commission has announced that EU accession negotiations would also involve a debate on the right to conscientious objection and the right to choose social service instead of military service. Following the questions of Erik Meijer, MEP of the Dutch Socialist party, Olli Rehn, member of the European Commission responsible for Enlargement, said that these issues would be discussed under Chapter 23, “Judiciary and Fundamental Rights”, in accession negotiations. Rehn emphasised that those refusing to use arms for religious or conscientious reasons were punished repeatedly. The EU has voiced its concern over this issue in its progress reports and in meetings with Turkish officials. Rehn pointed out that the form of military service in the EU varied from country to country; the Copenhagen Criteria did not touch on this issue, nor is there any EU legislation on it. According to this convention, persons with dual nationality can only be called on to do military service until the age of 38. If they have worked abroad for three years or more, they can pay to be exempt from military service. Not doing one’s military service is a ground for denaturalising someone. On the other hand, doing one’s military service in countries such as Germany, Denmark, France or Israel means that a second military service does not have to be carried out in Turkey. Both Human Rights Watch and Amnesty International have criticized Turkey's failure to acknowledge the rights to conscientious objection, as well as numerous human rights groups inside Turkey. Service is mandatory for all male Turkish citizens for a term that can range from six months (for those with university degrees) to fifteen months. Partly because conscription affects almost everyone in Turkish society, and because service has become increasingly dangerous, military service is an extremely sensitive issue of which to speak. See my post from June 1 and Mustafa Akyol's analysis of pacifism as an imagined threat to the Turkish Republic. Conscientious objectors like Doğan Özkan are certainly not popular figures who endear themselves to the majority of the Turkish public.